Sheriff Steuben is the law in a frontier town named Blind Gulch. He thinks he is god in his town and can commit any abuse he wants, but there is someone he will have to reckon with soon and he is not far away. He is locked up in his jail — cell number two — and he is not like anyone Steuben has ever encountered before. Steuben has four deputies, but they will not be enough. Hank Corman walks into a diner in New Jersey in 1950 and sees an old Army buddy he knew during the war. But that’s impossible. He saw this man die during a bombing run over Nazi Germany. He fell from the belly of a B-17 with a load of bombs. 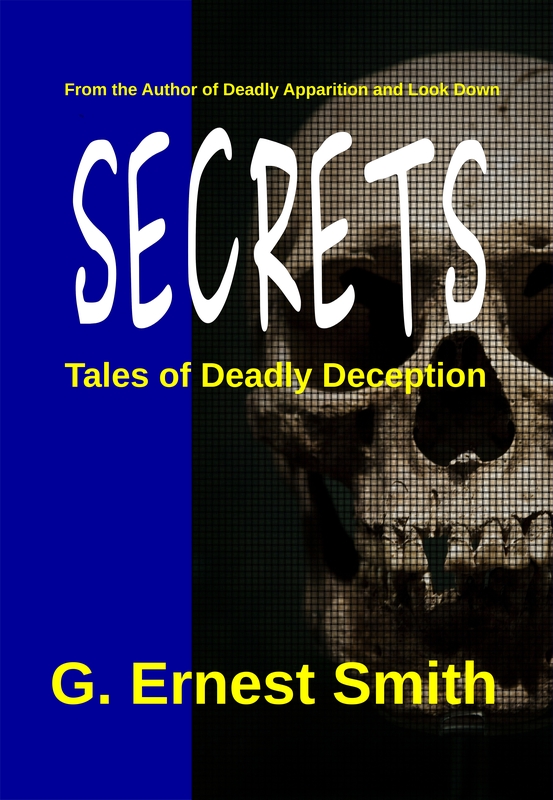 These are just a few of the spell-binding stories in this collection from master story teller G. Ernest Smith. In this third installment of the Black Sheena saga the mighty Coalition has fallen and the new government of the Citizens Republic has been formed by the Blacks. An arrest warrant has been issued for the renegade warlord Tondaka who has committed heinous war crimes, so Sheena and Kag decide to go on a secret mission to the Yamagoochee Five System to gather intel. But days into their trip something goes horribly wrong and they wind up crash landing on an uncharted moon of the planet Malcolloy. There they find a primitive culture where people are living in the stone age. In this culture men must compete for food, water and women. Kag finds himself facing off against a murderous thug named Rune for Sheena. Meanwhile, Dingo and the others at Sandow realize that Sheena and Kag are overdue. Something has happened to them. They mount an exhaustive search through the Yamagoochee Five System but find not a trace of them. Their search efforts capture the attention of Tondaka. Why is the Citizens Republic searching for something in his home system? He decides to do some searching of his own, and he has a very good idea where to look. Who will reach Sheena and Kag first and will they be in time to save them? Each time Sheena ascends the Amber Throne and takes on the mantle of the Madilim Shee’a she connects with an ancient entity she calls old one. She can feel him getting stronger inside her with each session and she begins having disturbing dreams. Brother Vincenti and the other monks are sure she is connecting to the divine lord and master, but Sheena and Kag are not so sure. At the same time, in her capacity as supreme commander of the new military guard, she and the Blacks are trying to create a new nation on Sandow — The Citizens Republic — and with the help of the Al Yo’osh and the Billé Sanmo monks, she establishes the City of Promise. But Teeg makes a bold attempt to abduct Sheena and puts the Blacks on their guard. They realize almost too late the lengths Teeg will go to when they are drawn into a trap at Monbeer. On top of that the Coalition has developed an effective new fighting tactic which could spell the end for the Blacks. Sheena and Kag finally put together an assault team and go after Teeg on the planet Evergreen while a battle between the Coalition fleet and the Blacks rages in the space around them. 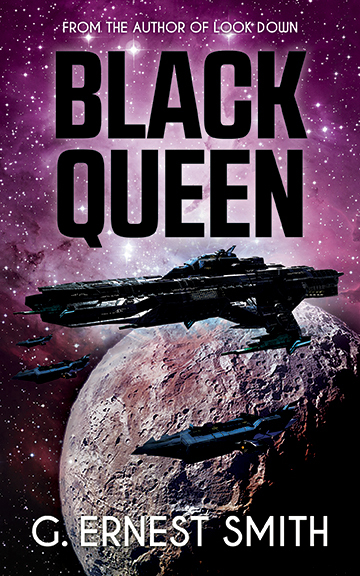 Her name is Black Sheena and she is hunted by the Five Star Coalition. She raids their shipments and opposes the ruthless men at the top. Whenever they try to tighten their grip on a people, Black Sheena is there to defend them. Whenever they try to put down rebels, Black Sheena is there to be their champion. She and her band have been branded pirates and terrorists by the Coalition leaders who hate her, but they also created her. But there is an order of monks known as the Billé Sanmo. To them she is the chosen one. Sheena is there to mend a broken world and her appearance was foretold in their scriptures. They are convinced she is their Madilim Shee’a or Dark Queen. Kag Renfro is a young Coalition Guard trooper. 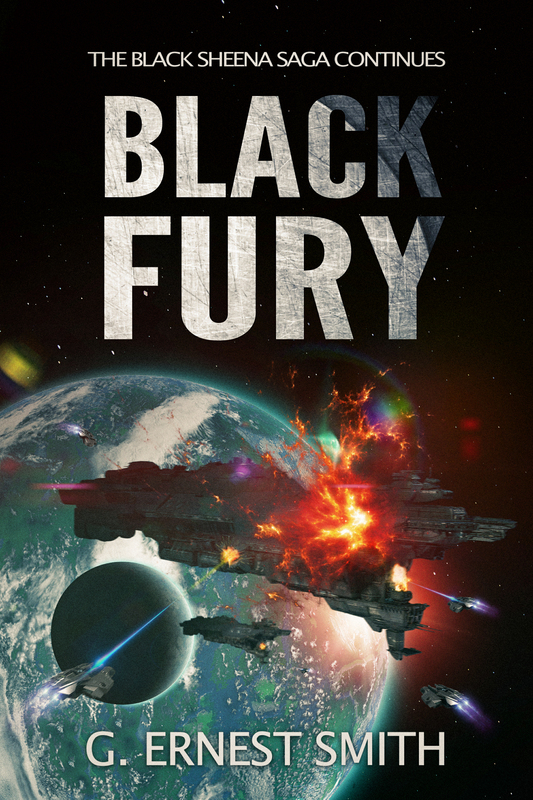 He is living a mundane existence on a dead end planet until one day his path crosses Black Sheena’s. From that day on his life becomes a thrilling ride down a steep slope. It is all he can do to hang on for dear life. PHLEGM is not one of those acronyms that just rolls off the tongue. It tends to stick in the throat. But it’s easier to say than Planetary Hub Law Enforcement Group – Monroe Division. 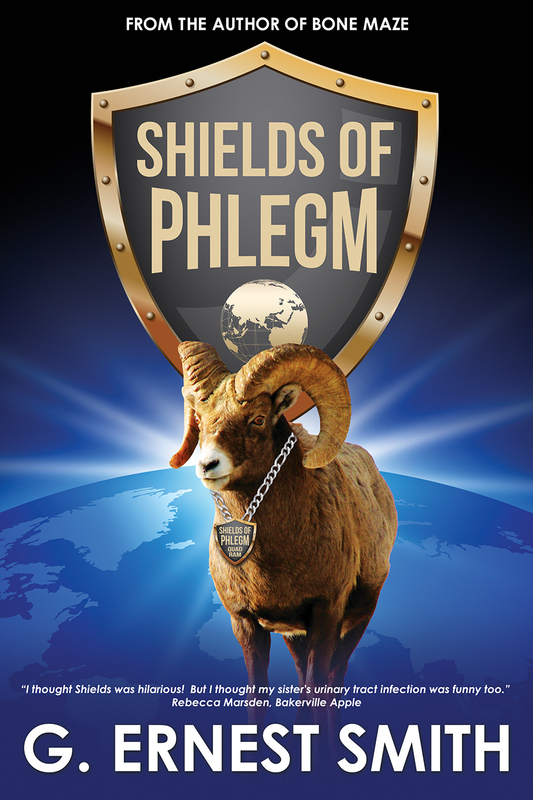 PHLEGM is an important unit, doing an important job. Members of this group are called shields and they patrol Monroe Station, a huge orbital community in Earth’s influence. This story is about one of those shields. His name is Levi and he’s trying to fit into a human world as best he can. Levi is a sheep, but not just any sheep, he’s a fearsome quad ram, specially modified genetically for law enforcement. Disturbingly mutilated dead animals are being found in the mountains of Alaska and hunting parties are disappearing. There is something evil at work here and law enforcement has put a name to it. Anubis. Roy Bohannon is a man without a past. He finds himself fleeing through the Alaskan wilderness. Someone is trying to kill him. Why? He can’t remember who’s chasing him or what he’s done. He can’t remember where he’s been or even where he is now. What’s happened to him? And is his name really Roy Bohannon? He stumbles into a cabin with a mummified man. A man he knows. Who killed him? How? Bohannon talked to him only two days ago. When he’s confronted by armed men, he flees again and finds sanctuary in a small village, but runs afoul of the local law and winds up in jail. He suspects that the only way he’s going to get answers is to go to the source of Anubis in the mountains. And what’s happened to Florida detective Bone Ramsey? No one has heard from him in weeks. Where is he? His free-wheeling squad of mercenaries decide to take matters into their own hands and find him. 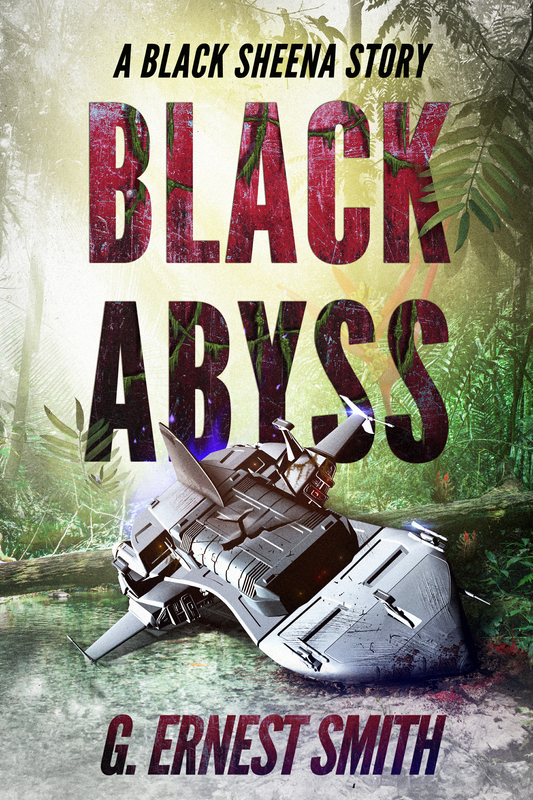 They rescue Bohannon and soon find themselves on a fast paced odyssey which involves a firefight with a helicopter gunship, and chasing a mad man through a nightmarish world of fierce monsters and savage alien warriors. Sarah, a young woman suffering from bee stings, poison ivy and heat exhaustion has been waiting at a river encampment for hours for her boyfriend. Bone Ramsey and his squad happen upon her and offer their help. They make a good effort to find him but to no avail. Her boyfriend has vanished without a trace. They wait for a ransom call, but it never comes. Weeks later when everyone has moved on and the boyfriend has been forgotten, he surfaces 160 miles away, and he has another man’s personality and memories. 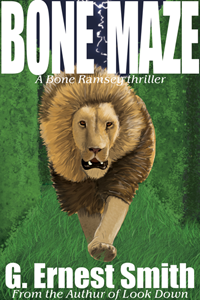 Ramsey and his large friend Porkchop are determined to get answers, but first as a result of a confrontation during a security job, Bone Ramsey has to tangle with a biker gang out for blood one night. He’s alone and armed with nothing but a gallon of milk! This thrilling story concludes with Ramsey and Porkchop coming face to face with a mad scientist and her henchman. 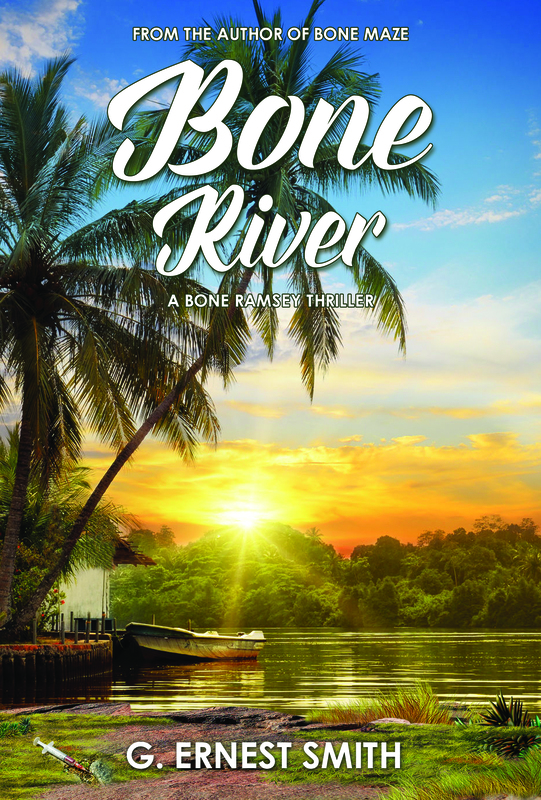 Porkchop has to grapple with gunmen and rescue innocents while Ramsey on a Jet-ski chases down the mad scientist trying to make her escape in a speed boat on the St. Johns River. A mysterious Norse artifact is unearthed one day, but it is not like anything ever found. It’s name in Norse means Horrible Hammer and many believe it may be the basis for Thor’s mighty hammer, Mjolnir. Experts soon realize how dangerous it is when it is accidentally triggered and a man is turned to bloody gore. Two years later detective Bone Ramsey gets a visitor from Norway. The Hammer has been stolen and is in the hands of a mad man in Florida and he’s using it to settle scores. The university wants it back before it can cause any more death and destruction. Ramsey takes the case and with the help of his friend Garth begins to close in on the Hammer. But he gets distracted when Angela, Bone Ramsey’s love interest, is threatened by thugs who believe her late husband stole money from them. 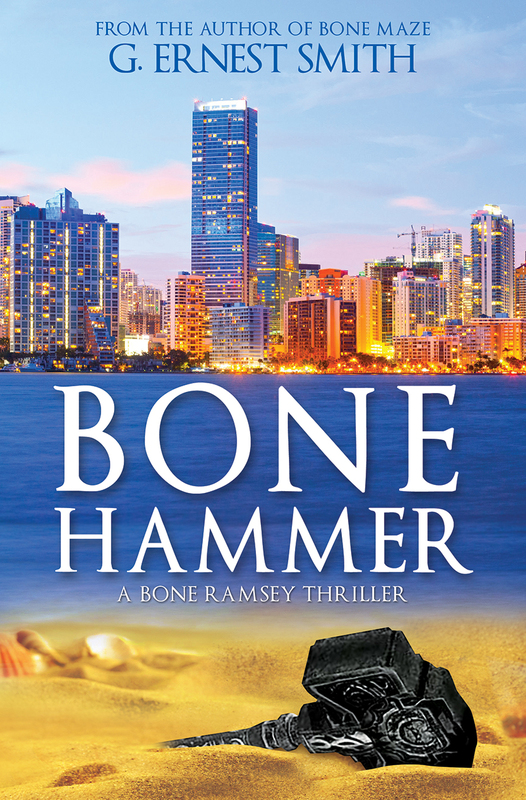 Ramsey quickly realizes he’s going to have to deal with these evil men before he goes after the Hammer and he can’t do it alone. He assembles his squad, a group of colorful club bouncers, and they take on the mob and then help Ramsey go after the Hammer. 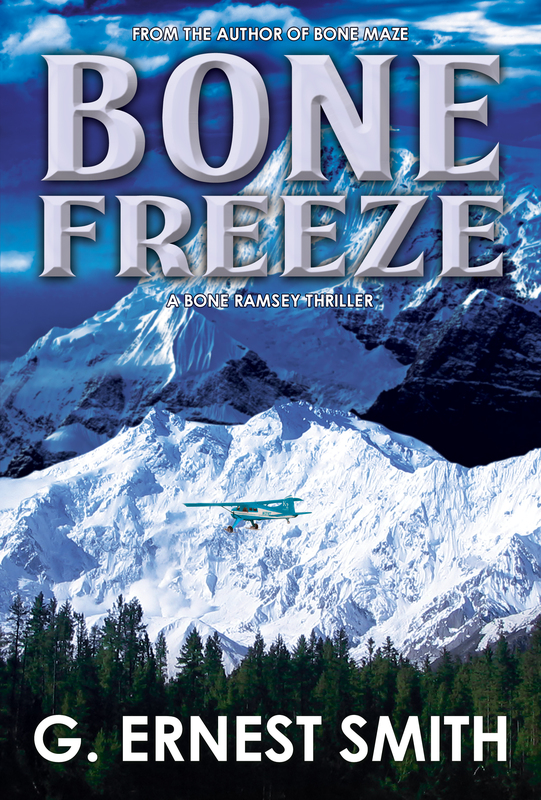 In this fast-paced odyssey Ramsey and his cocky squad barely escape sure death, rescue innocents, deliver punishment to the wicked and run afoul of the FBI. But it’s all in a week’s work. Commander Donald Castillo is the commander of the Virginia class fast attack nuclear submarine Kansas. It is the latest and best that the U.S. Navy has to offer. He is asked to test a new ground-breaking countermeasure that will revolutionize naval warfare. 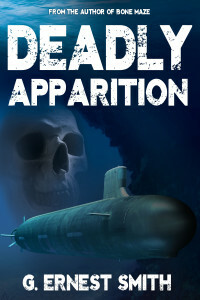 Its code name is Apparition and he will be working with a civilian test team headed by Dr. Susan Lambert. This is game changing technology born of the Hadron Collider and the Navy brass are hungry for it. But something goes wrong during testing and the Kansas and her crew disappear off the western coast of Scotland. The American and British navies perform an exhaustive search, but find not a trace of Kansas. Meanwhile, Castillo and the rest of the Kansas crew can not understand where everyone has gone. They can’t get a response from anyone, nor can they see anything on sonar, nor can they get a GPS fix. What’s going on? They see what looks like a replica of an old Spanish galleon sailing ship. Castillo decides to surface and approach the ship and ask if they know where everyone has gone. Instead of getting answers, they are fired upon and Castillo is captured. The Kansas’s executive officer gets Castillo back, but not before they discover that the Spanish crew thinks it is the year 1588. How can that be? Castillo decides to return to base only to discover it’s not there! He and Susan Lambert are beginning to suspect what has happened, but no one wants to give voice to it. It’s too unthinkable! Depression sets in as the crew reluctantly faces the truth. They are stranded in the wrong century, and there is no way back. They are faced with the enormous task of making a life in a preindustrial world with few survival skills or resources. Castillo realizes that at least they can watch a watershed event of history, the defeat of the famous Spanish Armada by Sir Francis Drake and Lord Howard. They will have front row seats. But something is wrong. Events as described by the history books are not happening correctly, and the Armada is much bigger than it should be. The English are losing the fight. They are heavily outnumbered and outgunned. Castillo is in a quandary. He and his ship have the power to affect the outcome. Should they act? Rebecca Wallace is a woman who enjoys doing volunteer work with seniors. One day she is tragically mauled by a Florida panther. Orlando detective Bone Ramsey is called in because he is one of the last people to see Rebecca Wallace alive. Another deadly attack happens and Ramsey sees a lethal pattern emerging. Someone or something is using the animals at the top of the food chain as hit men. How? 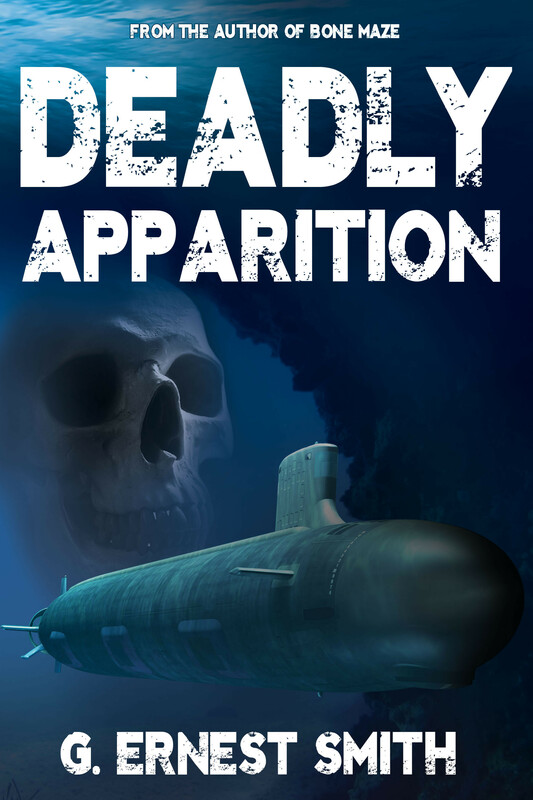 He teams up with his next door neighbor, Angela, and soon they realize many innocents have been marked for death, and they must find each of them and warn them before they too fall victim to the savagery of nature. While trying to get to the source of the animal assaults, Ramsey finds himself running down leads all over central Florida and southern Georgia. He is ambushed by his old enemies, the Whitaker brothers, and one night he finds himself in a fight for his life against an unknown assailant. Someone is out to stop him, but the former Army Ranger and Orlando cop has never been stopped at doing anything and is not about to let it happen now. The year is 2079 and the United States again has a strong manned space flight program but it is very military. Commander Eric Nyland commands the pride of the U.S. Navy, the USS Macon, an orbital weapons platform capable of striking anywhere on earth. He believes he is stopping terrorism and making the world a better place until he receives an anonymous note one day. 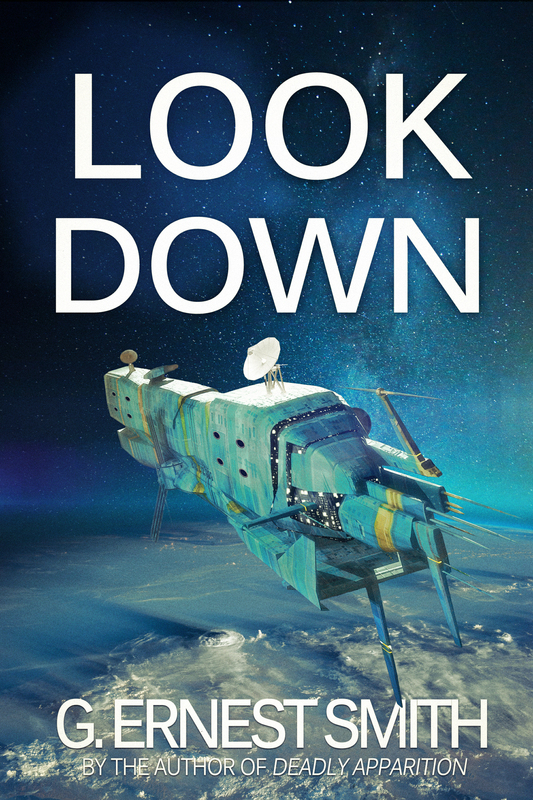 Nyland and his Executive Officer, Lieutenant Commander Padma Asan, begin an investigation which uncovers a conspiracy to assassinate political enemies using the devastating power of the USS Macon. One of Macon’s brutal attacks awakens an ancient artifact, which issues a powerful call outside the solar system. One day the call is answered and a mysterious visitor comes to earth causing Nyland to question every thing he has been doing. Has he been looking down when he should have been looking to the stars? He slept for 500 years. When he goes to sleep, he is one of the most powerful men in the Aztec empire, sitting at the right hand of the emperor Montezuma, his number one assassin and enforcer. 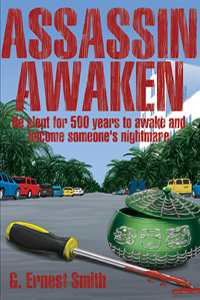 When he awakes, he is in the body of a man named Bret Parker in modern day Tampa, Florida. The only survival skills he has are a mismatch in the modern world. He knows brutality and intimidation. His refusal to back down from street thugs and predators leaves a trail of bodies. Hamilton Okita is a special agent with the FDLE (Florida Department of Law Enforcement). He gets the job of tracking down this killer in the Tampa Bay area. He always gets to the crime scene a little late, never seeing his quarry, but seeing the wreckage he has caused. The displaced assassin in the body of Bret Parker meets a woman named Trish who helps him find his humanity. He saves them both from death at the hands of the mob, they steal their money and realize that they must deal with these evil men who are hunting them, but that is something the Aztec assassin knows about. He is a predator too, and he is much more lethal than they are. Why did Lincoln want to learn to read? He was an abused child. He was beaten when seen reading and called lazy. He was forced to do hard physical work and turn his wages over to his father and if caught reading was beaten. Lincoln kept reading because Lincoln was rebellious. Lincoln became great from reading, writing, studying, thinking, making speeches, working steadily as a lawyer and working continuously on self improvement. We are fortunate that Lincoln was rebellious as a child and learned to read. There was another rebellious class of people at the time—slaves. Slaves were forbidden to learn to read and write. Many of them made a decision to do the opposite of what their masters ordered. They secretly learned to read and write. “It was a sacred effort,” said Douglass. That was too much for John Wilkes Booth. He decided to kill him. This book touches on many of the Civil War battles, Lincoln’s speeches and writings and most of his actions during his presidency. It is the third volume in a series which includes his early years, his time as a lawyer and his reentry into politics. 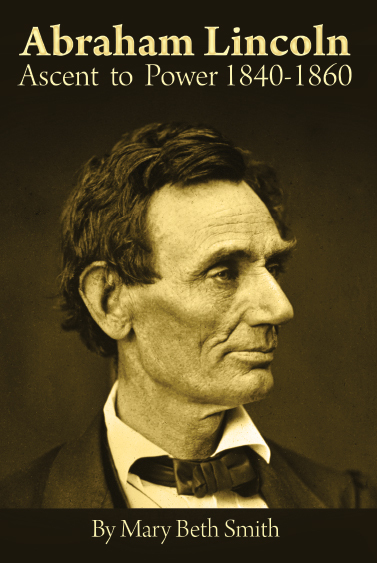 Before Abraham Lincoln became the calm, wise and compassionate president whom all presidents try to emulate, he looked and acted much differently. He had no beard to hide his gaunt, wrinkled and pock marked face, no well-tailored suit to disguise his sloping, thin shoulders and wrinkled neck. Abraham Lincoln: Ascent to Power 1840-1860 contains many eye witness accounts of his appearance and personality during those years. His baggy trousers were always too short. His coat sleeves were short as well. His hair was seldom combed, his boots never polished, his hands were large and his feet huge. His humor, his well-prepared summations and speeches and his strange marriage—all are described in detail by his friends and neighbors. While the excellent descriptions of Lincoln by his friends adds color, the book’s main strength is its organization and simplicity. It describes the events that took place during the twenty years before the Civil War. It also analyzes the reasons the Civil War began. It is a good introduction to Lincoln and is helpful to those who are overwhelmed by the subject. It shows how with hard work and with deliberate attempts to get speaking engagements he became famous in the State of Illinois. By careful and slow preparation and by his reading of poetry, Shakespeare and the classics he was able to make his great poetic speeches. But he also relied on logic as shown by his great Cooper Union Speech. Once he had made that speech in New York, he was invited to speak all over New England. This speech led the Republican party to nominate him for President. 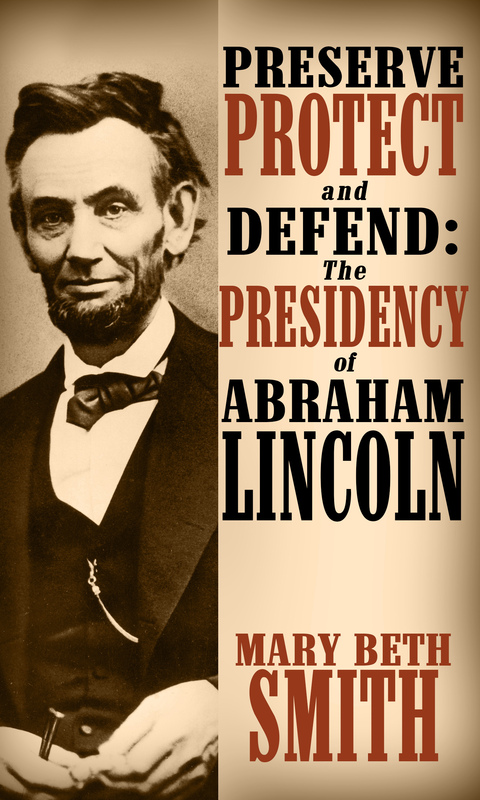 Parts of his speeches are included and explained, including the Peoria Speech, the “Lost Speech,” and the “House Divided Speech.” The chapter on the crisis of 1850 contains portions of speeches by Clay, Webster and Calhoun with explanations. Lincoln was one of those rare children who are able to hang onto their true identity in spite of abuse by their parents. Even a controlling, but not physically abusive parent, slows down their children’s maturation. Those children lose their identity and sense of self worth for a time. Later, if they are lucky, they will be able to remove themselves from their parents’ influence and strike out on their own. Abraham Lincoln held onto his uniqueness, as best he could, as a child. In spite of his father’s bullying, and some say bullying by his birth mother, he worked on his talents–for reading, writing, story telling, lecturing, and teaching, all while still a child. The Formative Years describes his childhood and his successful attempts to be himself. His years as a young adult in New Salem were very happy because he was freer than ever before to read, study, entertain and get to know the people of the county. The book shows how the study of law under John T. Stuart and Stephen T. Logan helped hone his speaking and logic skills. The Formative Years ends with his meeting Mary Todd. Observations by friends and neighbors, corrected for grammar and spelling mistakes, are frequent to give the reader a picture of how Lincoln looked and acted during these years. 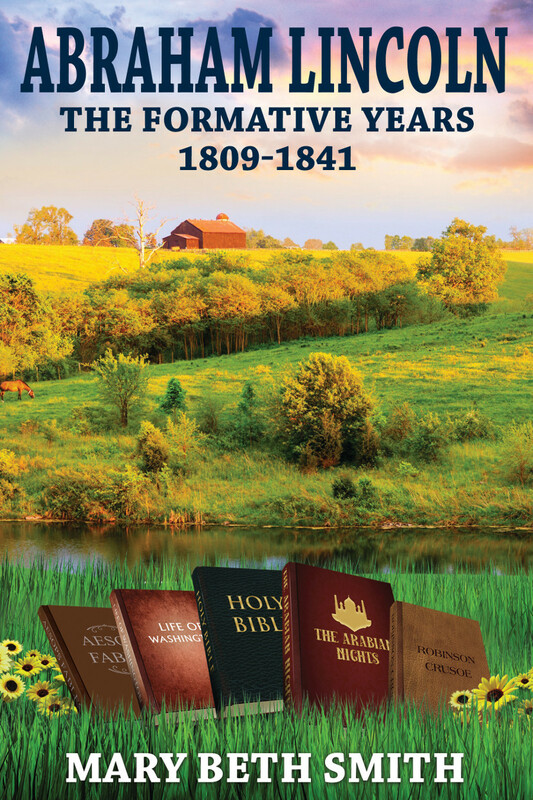 The next book in this series will cover the years 1840 to 1860. It will include information on the Lincoln marriage, Lincoln’s lawsuits, his time in Congress, his retirement from politics and his reentry into politics. Edwin Jones was struck down with polio at age thirty-five. He was able to somehow withstand the pain and become rehabilitated. One can only wonder how little children, in their sixties and seventies now, withstood it. This story explains how a mature human being was able to survive polio while at the same time help the younger victims in his unit face the inevitable. They would never be able to walk again unassisted. He felt the relief that comes with knowing you will never feel that kind of pain again and the pride that comes with learning how to walk with crutches and braces. He also discovered his calling which was to work with the March of Dimes to raise money for patient care, physical therapy and grants to scientists working on a vaccine. Once he realized he had attained his purpose in life, he grew further spiritually, finding peace in being quiet, in contemplation, in trusting his instincts. His children, while not quite knowing what to make of him, grew up to be honest and hard working like he was. This story clearly shows how a person can direct the skills they have developed throughout their life towards one or more useful purposes. Edwin’s learned honesty, his trip to California, his flying, his learned organizational, salesmanship and political skills, his good looks and natural friendliness all contributed to his doing something useful in the fight against polio. Once he realized that his purpose in life was to fight that fight, that, in fact, he was the perfect person to do it, he felt extremely happy. Especially since that war was quickly being won. The author’s first memory of him was in November of 1951 when she was two years old. As he drove her to the hospital because of an auto accident, he already seemed extremely calm. He already seemed happy. He was working hard as a volunteer for the National Foundation for Infantile Paralysis. He probably already knew that scientists were getting close to finding a vaccine to prevent polio. 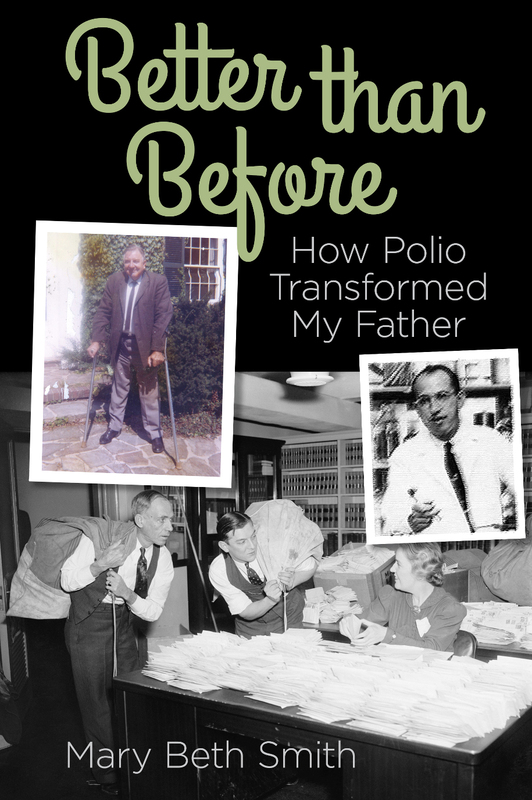 The author’s father came down with polio during the epidemic of 1944. This book describes his story of pain, rehabilitation and return to normality as well as inspirational stories of other polio survivors, some more severely paralyzed than he was. Most of these people adjusted well to life after polio. But 30 to 40 years later they started getting what is known as post-polio syndrome which the author’s father had also. Also included is a concise but comprehensive history of polio in 20th century America. In 1916, the crippling disease began in New York City and spread to other parts of the United States. Theodore Roosevelt’s county was especially hard hit with a 25% mortality rate. He formed a group of prominent citizens from his town of Oyster Bay and tried to prevent the disease from spreading. Nothing worked. In 1921 his distant cousin Franklin got polio and lost the use of both of his legs. He also was weak in his pelvic area and unable to walk more than a few steps on crutches. He founded a rehabilitation center in Warm Springs, Georgia. By 1926 he realized that he was never going to walk again but felt he could still run for office. In 1928 he ran for Governor of New York and served two terms. In 1933 he became President of the United States. While President he asked his law partner, Basil O’Connor, to head up a charity which provided for patient care and research into the disease. All patients needing money for hospital expenses were cared for. It was the most successful charity ever. It eliminated the need for government involvement. 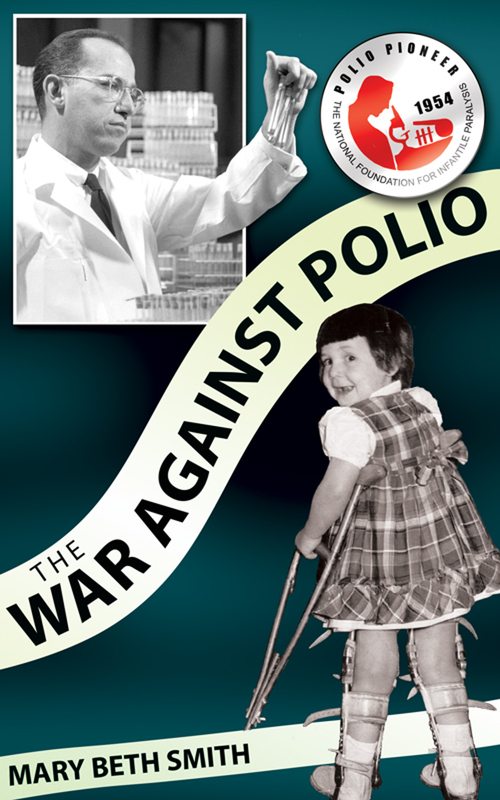 After World War II, people began to clamor for a vaccine to prevent polio in the newgeneration of baby boomers. Enter Jonas Salk. By using his intelligence, great leadership skills and hard tedious work he was able to test his vaccine in 1952. In 1954 the vaccine was tested on millions of first, second and third grade children and was found to be safe and effective. In 1962 Salk’s vaccine was replaced with Sabin’s oral vaccine but that was found to cause polio in a few people. In 2000 the United States went back to the Salk vaccine. The Sabin vaccine is used for the developing world because of inability to afford expensive needles and because immunity can be spread by vaccinated people to the unvaccinated. 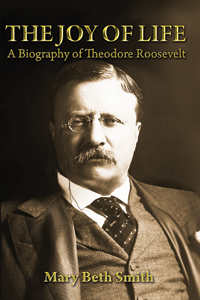 If you have never read a book about Theodore Roosevelt, read this one first. If you have read other books about him, read this one to discover more about his philosophy and spirituality based on his own works. It covers his entire life from birth to death.The Joy of Life distills the personality of Theodore Roosevelt into one medium-sized book. Quotes appear in this book which show him to be funny, hyperactive, energetic, exciting, enthusiastic, entertaining and lovable. His contemporaries say such things as: the more I see him the more and more I love him; work was an entertainment with him there; it was love at first sight; never have we laughed so much as when T.R. was our host. The book shows what motivated him at each stage of his life. During his Police Commissioner days he said to Jacob Riis, author of How the Other Half Lives, “I have read your book and I have come to help.” Charging up San Juan hill he realized that he was destined to become a great leader of people like his Rough Riders: a mixed group who included cowboys, Indians, Ivy Leaguers, hispanics, marshals, negroes and Texas Rangers. His greatest effort was in conservation. He preserved millions of acres of land including wildlife refuges, national parks, national monuments and irrigation projects. He accomplished many things in his life and would have obtained a place in history for that alone. After unbearable pressure at home and at work, the author became manic and crashed her car into a tree thinking she would become reincarnated. After going to an incompetent psychiatrist, she had the enormous good luck to switch to the best psychiatrist in the county. Here she tells her own story along with chapters on what bipolar disorder is, how cognitive therapy helps and how 12 step programs with their emphasis on a spiritual experience help. She describes what mental health is and what self-actualization is, based on examples from Lincoln’s life and Abraham Maslow’s writings. The author describes how a person’s neuroses and narcissism can be healed. 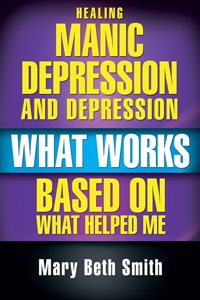 But once healed, the bipolar person still needs medication in the same way a person with diabetes needs insulin.